Investing in Modern and Contemporary Design Furniture (with 8 tips) | What is it worth? Design furniture might not be the most standard way to invest, however, the exploding market has shown that a smart purchase can yield impressive long-term ROI (return of investment). As the art market is getting more transparent with platforms such as Mearto, investing in design is gradually becoming a more plausible option. Since late 1990s, mid-century and contemporary design furniture broke auction records as the prices skyrocketed. What used to be considered second-hand became modern antique. As an example for rise in the mid-century market, in 1996, design-focused auction house Wright 20 sold a coffee table by the famous Japanese-American artist-designer Isamu Noguchi for about $ 9,000. In 2005, again Wright sold a very similar piece from the same designer for $ 330,000. The difference between is breathtaking. Another example is a Standard Chair by Jean Prouvé, which usually sold for about $ 150 in the late 1990s. The cost of the same chair now varies between € 5,000 and 7,000. The main factors that influenced the rising trend of mid-century design is the coverage in media in forms of exhibitions, books, films and television series; acquisitions by museums; and rise of the modern and contemporary art in the art market while Old-Masters and Baroque styles fell out of favor, which resulted in the plummeting popularity of antique furniture. Moreover, the increased rarity of original production mid-century design furniture drives the prices up and it seems like the trend is here to stay. Contemporary design does not fail to equal and even surpass the price escalation in mid-century design, especially with the strengthened connection between the contemporary art and design markets. The line between designer and artist became blurred as the designers started to be recognized as artists and the creative dialogue between artists and designers increased. What designers to look for? 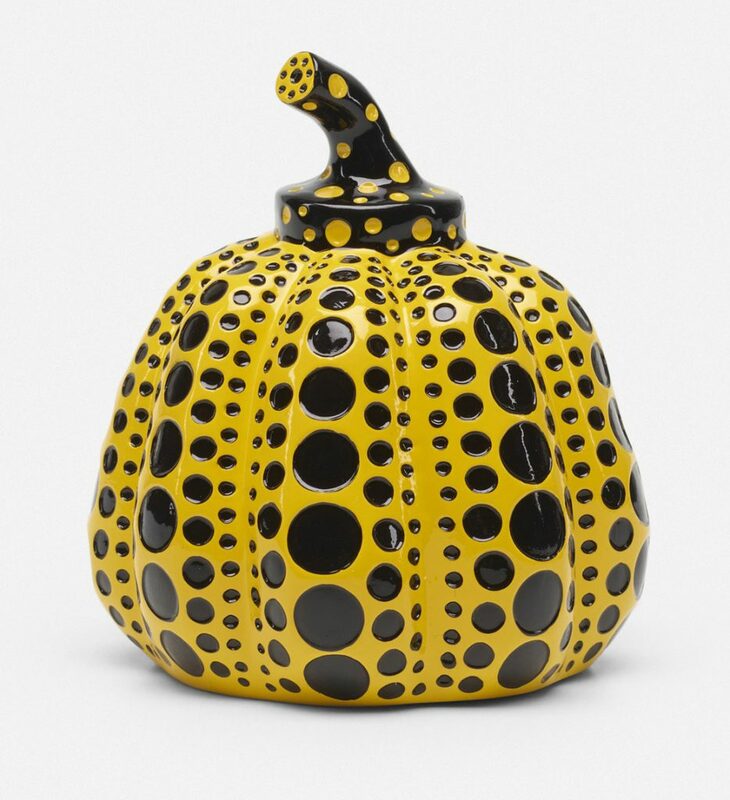 Designers Ron Arad, Marc Newson and Zaha Hadid created fine art in limited editions while artists such as Yayoi Kusama, Marc Quinn and Jeff Koons created design works. Brand galleries started to organize design exhibitions, such as the Mark Newson exhibition at the Gagosian New York in January 2007. Moreover, design objects were gradually integrated into contemporary art auctions in premier auction houses such as Phillips, Sotheby’s and Christie’s. As a result of all these determinants, contemporary design market grew hand in hand with the art market, reaching an all time high. Unique examples sell for astronomical prices such as the Lockheed Lounge by Marc Newson, which sold for £2,434,500, breaking the auction record for the highest hammer price for the work a living designer. Royal collections, important exhibitions, landmark places increases the profitability of a design object. The rarer and more unique an object is, the return of investment will be that much higher. Try to find design objects that are unusual, quirky and with an edge. An unusual shape or master craftsmanship are highly sought after. For example, the most expensive design furniture in history is the Dragon Chair by Eileen Gray, a completely unique handmade piece from 1917-19. After being bought for $ 2,700 by French fashion designer Yves Saint Laurent in 1973, in 2009 it sold for € 21,905,000 against a price estimate of € 2-3 million. Although this is an exceptional case, it is an inspiration for what uniqueness can bring. It goes without saying but we wanted to make sure. Collectors buying for investment value should give preference to pieces that have original labels, and make sure not to remove them. Labels can add dramatically to a piece’s value, especially when it is in mint condition. For example bent hardwood in Danish Modern; tubular steel and curves in International style and sculptural form in Contemporary Design. It is possibly best to both consult an expert, and do your homework very well. Furniture that hasn’t been restored, preferably with provenance, would be among the best investments. Design investments are unregulated, which means investors don’t have the security of the Financial Services Compensation Scheme or versions of it in different countries. They are also not so liquid, with demand from few buyers, especially as the price range increases. Investors should not expect a quick return on design. In order to maximize profit, you should look for a suitable window to sell it, otherwise it might not sell for the price you want. Another thing to remember of course is that these assets depend solely on supply and demand. If the trend wave turns against you, there will be a downward price swing. However, we observe that design is far less volatile than art. Good pieces will retain their value. Naturally though, as the profit range gets bigger, so does the risk. A good example of the changing taste is the rapid fall of antique furniture. In the last 10-15 years, English Regency and 18th century furniture are worth 30 per cent less and the value of French 18th-century furniture has halved. Meanwhile only in 2014, value of early and mid-century furniture rose 2 per cent. The market adopts to the new tastes and if you want to be a player in it, it is best to have a very good fingertip feeling and/or a very good expert. I thank Mr Richard Wright for his valuable input. Pictures courtesy of the auction house, cover image courtesy of Phillips.